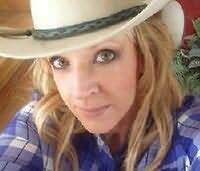 Busy with horses and school, Jamie rarely wrote through her teens and twenties, she was living a life most dreamed of (well, she dreamed of anyway), competing at barrel races, hanging out with cowboys, and traveling in rodeo circles with her friends. Money was tight, but life was good. Then Jamie met the man of her dreams. And low and behold he was not a cowboy, but a farm boy. They married and he swept her away to her little piece of heaven in Iowa. Well, then Iowa didn't turn out to be such heaven, Jamie again turned to fiction. This time she wrote to relieve the stress of living so far from her family, and from running a business with her husband. Funny how she now found it cathartic to kill people, only on paper of course.